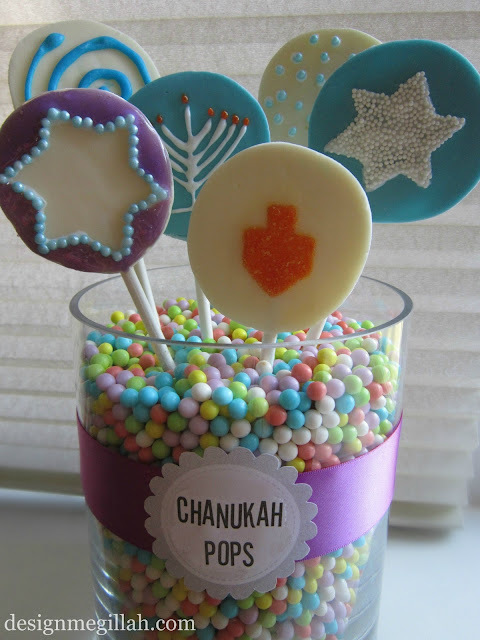 Here is a fun idea for your next Chanukah party--lollipops made from candy melts. 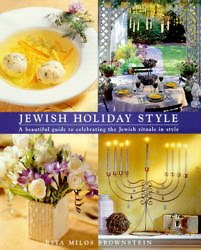 They make a nice addition to the traditional offering of Chanukah cookies and can be found at most craft and party stores. 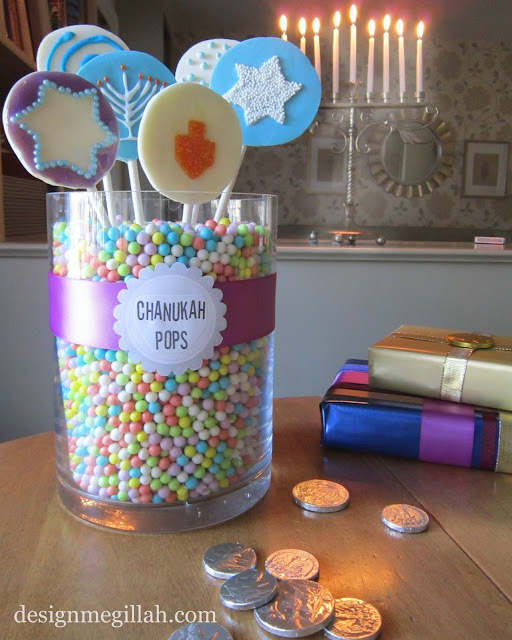 Not only are they easy to make, you can set up a lollipop station at your Chanukah party and have the kids (and adults)! decorate their pop. 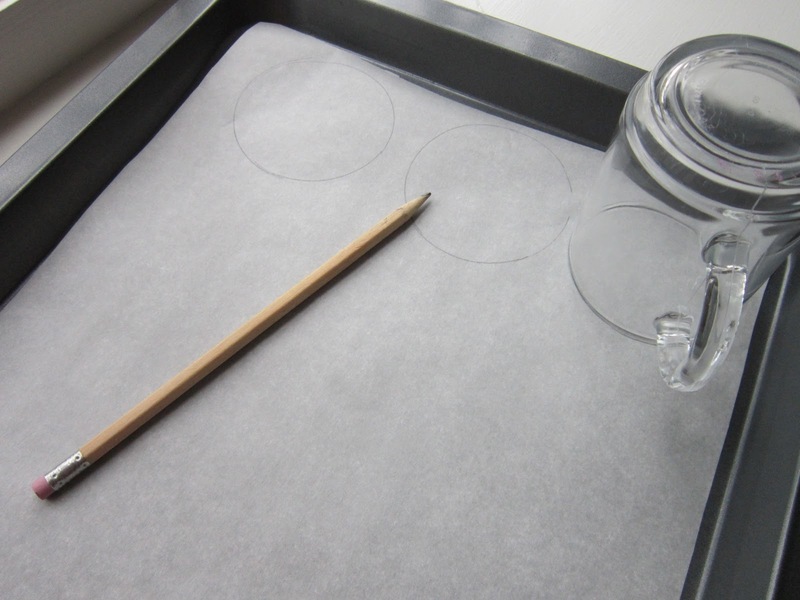 After lining a baking sheet with parchment paper, trace 2-inch circles with a glass. Then flip the paper over so you don't get pencil marks on your lollipops. 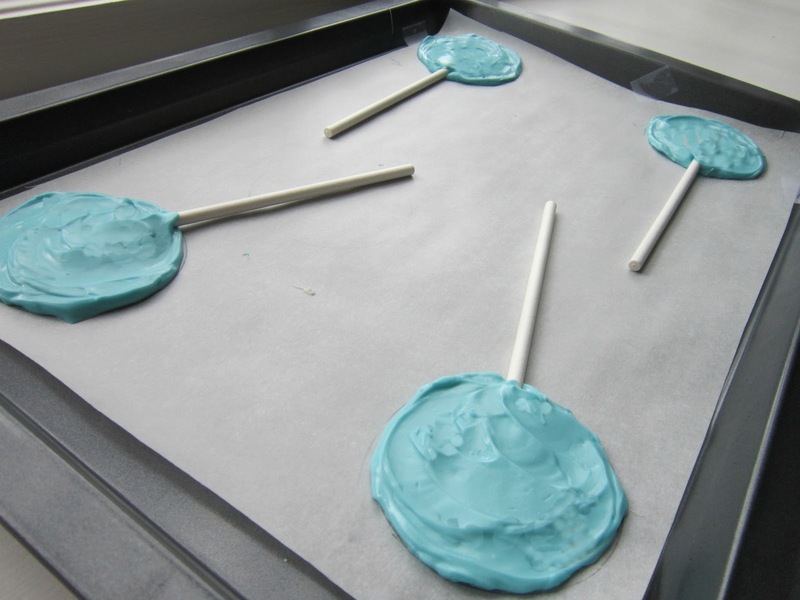 After melting the candy, spoon about 2 tablespoons of candy melts onto each circle. Press the stick into each pop then gently pat the chocolate candy into a circle. Don't worry that the top side is bumpy...the bottom will be nice and flat. 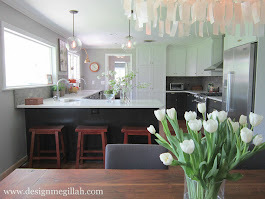 When they are hard (in about 10 minutes) gently lift them off the parchment paper. Now for the fun part...decorate with piping gel, sprinkles...whatever you'd like. 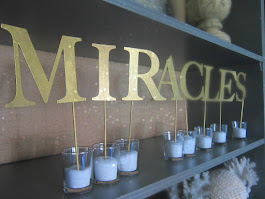 I displayed mine in a clear container filled with colorful candy I found at the dollar store, wrapped a silky violet ribbon around it and finished it off with a computer printed label. 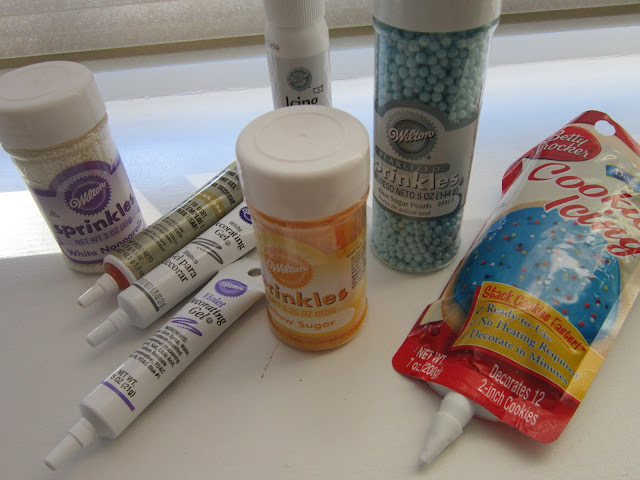 How do you get the sprinkles to stick? 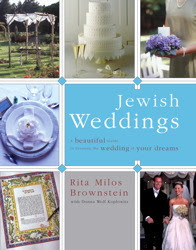 I used the decorating gel as my glue.